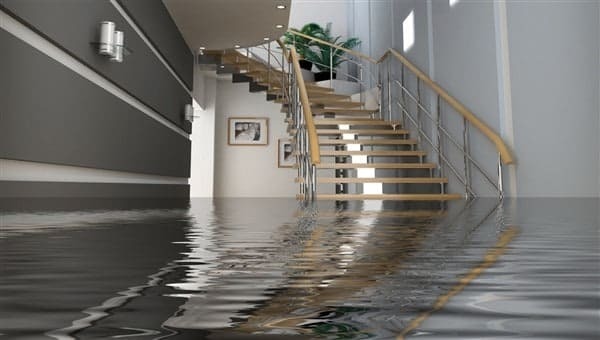 Find out how to prevent flooding in your home by Clovis Plumbing Services! Offer applies to the purchase and installation of a flood prevention device system. Leaky pipes: It is recommended to check your pipes monthly to see if there are any leaks. Ice makers: If your refrigerator has an ice machine, the hose may be defective or not firmly connected. Bathrooms: Leaking pipes at the shower and bath are the #1 reason for water damage & mold. Hot water: Corrosion in water heating systems. Washing machines are also a culprit. Roof structures: Leaking roofs, gutters, and drains are also the main cause of flooding in the house. Windows & Doors: Water can penetrate through gaps and cracks in windows and doors. Natural causes of a flood. River flooding: rivers can burst their banks after heavy rainfall leading to one of the most widespread types of flooding. Coastal flooding: storms and climate changes that cause rising sea-levels cause this type of flooding. Groundwater floods: caused by lack of drainage of groundwater particularly in areas built on permeable rock. Surface water flooding: caused by blocked drains, this type of flooding can hit any home at any time. The following guide will help you avoid flooding, leaks & blockages in conjunction with a flood prevention system. This valve controls all new water coming into your home plumbing system. In the event of a burst pipe or emergency leak, closing it will quickly prevent further damage. Label it clearly - ideally with instructions - so anybody can easily close it at a moment's notice. Make sure everybody in your household knows where to find it, and consider a "trial run" to avoid future panic. Routine maintenance will minimize the risk of blocked drains. In the kitchen, pour a few liters of hot water down each sink from time to time. At the bathroom, use a wet-dry vacuum cleaner to dislodge the hair and grime that can easily build up over time. Drain cleaning products will do the rest, provided you're careful not to cause damage to your piping. Stacking your dishes conservatively and using shorter-timed settings are more than enough for a thorough clean. To detect one of the biggest causes of wasted water, place a little dye or food coloring into the toilet tank. Usually, this will simply mean replacing your flush valve - a relatively easy DIY process. As they're far from expensive, it's generally a good idea to purchase one next time you visit a hardware store. This will save a significant amount of stress if an emergency replacement is needed on the spot. When water enters the washing machine via rubber hoses more prone to breaking or becoming dislodged. Regularly check for signs of blistering or cracking, and for additional peace of mind, consider upgrading to metal alternatives. As a cautionary measure, turn off these valves before leaving on holidays, just as you would any other appliance. Detectors are just as important as fire or burglar alarms when it comes to protecting our homes. Flood detectors, despite their name offer much more protection than floods. They detect moisture changes that can become leaks that can lead to flooding or mold. This can lead to structural damage in your home, which can result in costly repairs. How does flood protection work? Humidity sensors are placed or installed throughout the house at potential points of leakage, overflow or flood risk. This can be done directly on the floor, in a cabinet under a sink or water heater, in the basement or next to a bathtub. As soon as water is detected, the sensor triggers the alarm - probably a loud, audible sound and/or flashing light. If the detector is connected to a monitoring system, the monitoring service immediately contacts the homeowner. There are many flood prevention systems available that can be customized to your needs. Battery powered or wireless detectors offer the benefits of long battery life and ease of installation. Connection to water cutoff systems is the fastest way to minimize damage. In sub-zero temperatures, some units are also equipped with a cold temperature monitoring system. Why do you need flood protection? If you've ever experienced water damage then you know all too well about the cost of damages. For people who live in flood hazard areas, this makes sense from the perspective of prevention but makes sense for most. Early detection of moisture, water leaks, and floods. Mold protection, which can be a serious health hazard. The best choice for a flood detection system is one that meets all the requirements of your family and your home. For water leaks, please see our selection of leak detection devices.